On April 4, Nato marks its 70th anniversary. On that day, in 1949, 29 North American and European countries signed the North Atlantic Treaty of collective and mutual defence. Main adversary at the time was the Soviet Union, which in 1955 formed its own alliance with East European countries called “Warsaw Pact.” Today, the Warsaw Pact has disappeared and Nato has expanded eastwards. But differences between allies are many. Seventy years after its birth, there are cracks in the alliance. On Wednesday, US Vice President Mike Pence strongly criticized Germany at NATO's 70th anniversary gathering in Washington on April 3, saying the ally needed to pay more on defense and end a pipeline plan with Russia. "Germany must do more. And we cannot ensure the defense of the West if our allies grow dependent on Russia," Pence said, calling the Nord Stream 2 gas project "simply unacceptable." On the same day, another Nato member, Turkey, insisted that it will buy a missile system from Russia, striking another note of disunity at NATOs 70th birthday party in Washington. Foreign ministers from the 29-member Western alliance are hoped to show a tough, united front on a resurgent Russia as they meet for two days in the US capital. But Turkish Foreign Minister Mevlut Cavusoglu declared in Washington that there was no turning back on buying Russia's S-400 missile defense system -- two days after the United States suspended the NATO ally's participation in the F-35 fighter-jet program. 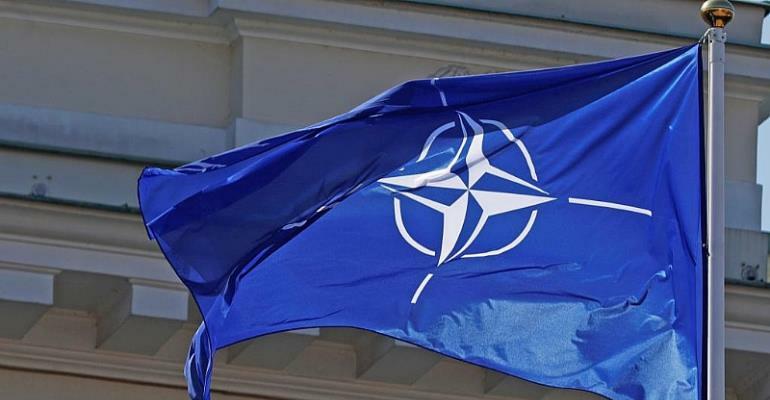 Tensions increased with a US proposal to send more NATO ships to the Black Sea to ensure safe passage for Ukrainian vessels and deter Russia, which, the Kremlin said, is viewed "negatively" in Moscow.